MRI scan of a brain showing multiple malignant tumors (colourful rings). These tumor nodules are surrounded by extensive swelling (seen as the dark areas). 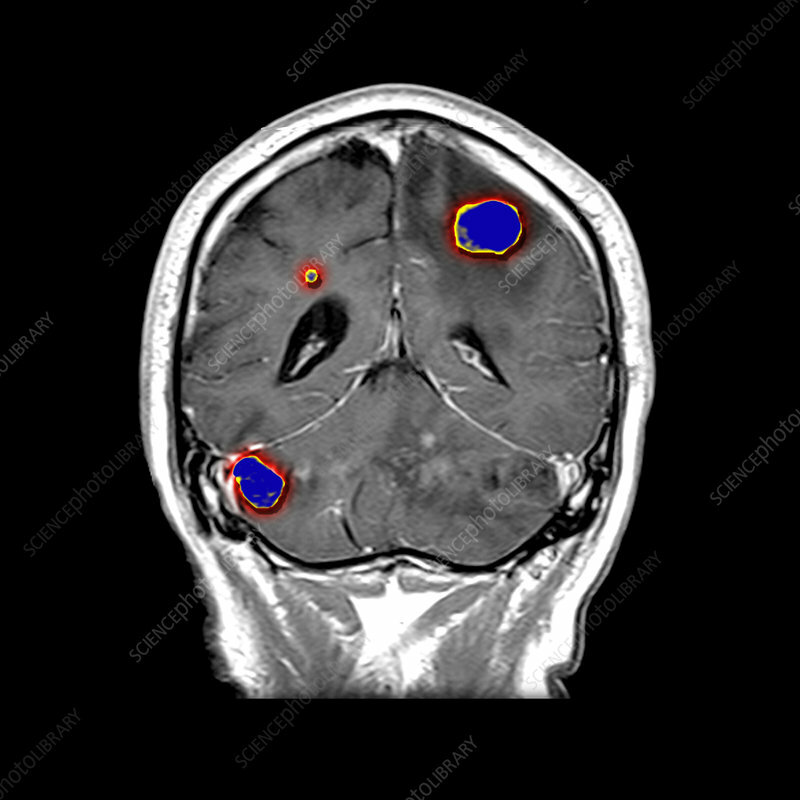 MRI is a cross sectional imaging technique that uses strong magnetic fields and radiofrequency pulses to generate the images.